The borough of Torbay has been affectionately called the English Riviera because of its pleasing mix of beaches, warm weather, and seaside entertainment that reminds some of the French Riviera. People have been living in Torbay for thousands of years. It was warmer when they first arrived, so it would have been even nicer! The area was known for fishing and farming until the rise of the middle class in the mid 19th century resulted in thousands of newly affluent people looking for nice places to escape the smog of English cities in summertime. Resort towns sprung up all along the English coastline. The string of Torquay, Paignton, and Brixham soon became some of the most desirable places to visit and “take the air”, as it was known back then. The opening of the first railway station in Torbay in 1848 made the area more immediately accessible, and soon it was not just naval officers but anyone who could afford the fare who was turning up. The term the English Riviera was coined by some forgotten entrepreneurial soul but it stuck. The Riviera has evolved into one of the most desirable retirement locations in the UK. It has an elderly population and mostly relies on tourism, so it is a seasonal place. There is so much to do here it is hard to know where to start. Beaches! Oddicombe Beach is connected to Babbacombe Beach by a cute walkway. They are easily accessible and are close to the theatre, a spa, and the unmissable Cliff Railway (which has a great ice cream shop at the top). Anstey is not much further away but offers some seclusion. It is known as one of the prettiest spots in the entire Riviera. There is a lot to explore for kids. 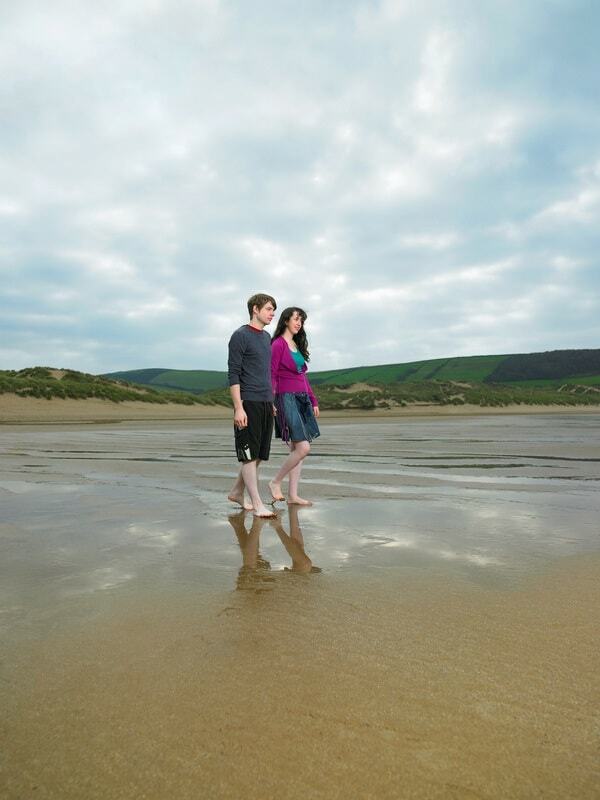 Other fantastic beaches nearby include Meadfoot, Torre Abbey, Preston, Paignton, Goodrington, Broadsands, and Breakwater. There is a lot of variety and it is all easy to get to, so why not explore? The coastline of the Riviera is not very long, you can walk it in a few slow days. With plenty of stops for ice cream and fish and chips, with good hotels and amenities along the way, it is one of the cushiest stretches of coast to walk anywhere on Earth. Something a bit more Extreme? It is not just pensioners that flock to the English Riviera, adventure seekers find plenty to entertain them here too. Windsurfing, regular surfing, sailing, scuba diving, kayaking coasteering, swimming and snorkelling are all very popular. The waters off the Riviera are as clear and clean as anywhere along the South coast and make for fantastic water sports. With a microclimate that is milder than elsewhere on the coast, you can stay out there for longer. You can learn to sail, climb, surf, and even ski on the Riviera. Companies offering top-quality teaching and supplies are everywhere, you just have to look. Torbay has lots of spas. You can get any kind of relaxing treatment here, from mud baths to saunas, pedicures to getting your hair done. People come to the Riviera to enjoy themselves and there is nearly everything you need to do that, all the time, right here. What visit to the seaside would be complete without a few goes on the slot machines? Torbay does a good job of not being tacky, so there aren’t the endless arcades of Scarborough, but you can happily while away an afternoon putting tuppence after tuppence in the shiny machines. There are a number of ferries and boat taxis you can get around the Riviera. You can hire a boat to have a party on, take a trip up and down the coast, or get in on the new “Wildlife Sea Safari”, where you get to learn about the fish and aquatic species native to the coastline. Alternatively, you can fish some of those local species out of the water and eat them on a fishing trip. The choice is yours. The unique geology of the Riviera led to it being designated a Geopark. This is a way of promoting sustainability, educating people about their surroundings, and conserving the important ecosystems of the area. The Babbacombe Cliffs are geologically fascinating, ending up upside down somehow. Caves between Berry Head and Sharkham Point are great for a (guided) look. Fossils of wooly rhinoceroses and cave lions have been found in Kents Cavern. There is an entire geological period named after Devon because of the shells found in Lummaton, just up the coast. Anywhere you look, there is fascinating nature. 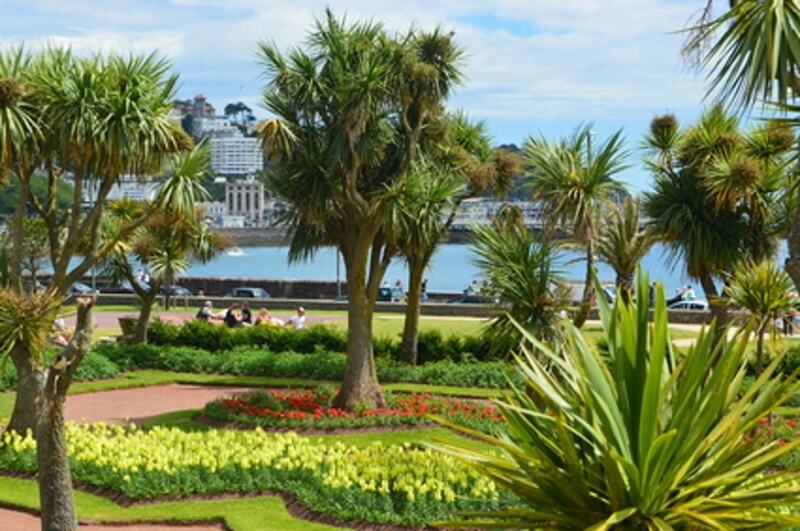 Have a relaxing time in the English Riviera, explore the history and heritage of the area and enjoy your stay. This entry was posted in Things To Do In Devon and tagged English Riviera on February 1, 2018 by admin.